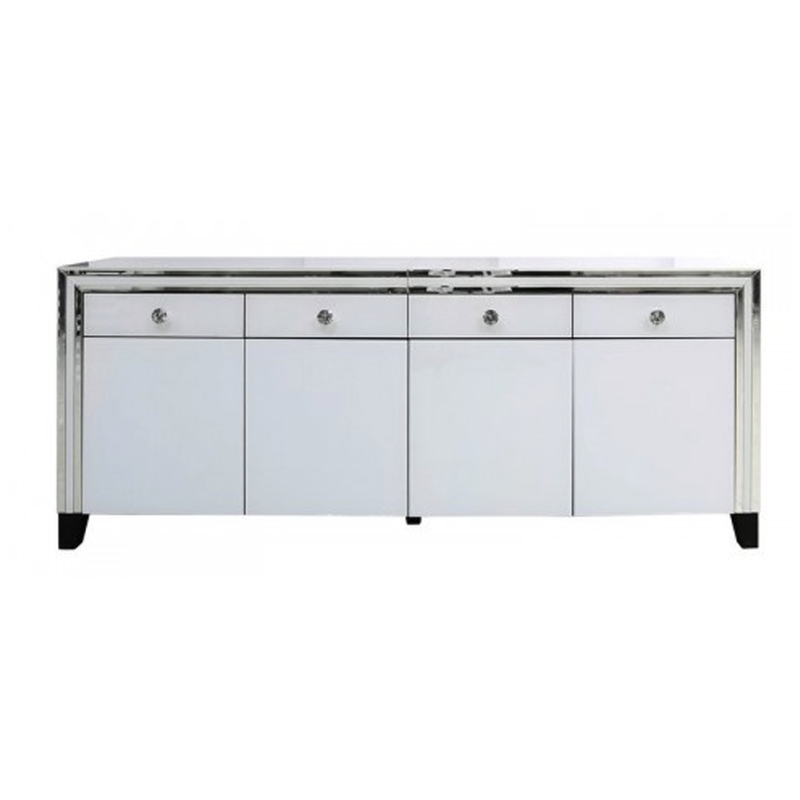 Solve all your storage issues and give your interior an instant upgrade with this beautiful Alghero White Large Mirrored Sideboard. Completed with four drawers and four doors for all your storage needs, this sideboard will fit perfectly into any existing interior due to it's simplistic design. With a white and mirrored exterior it will illuminate a modern feel throughout your home and become a centre piece of any room.